Celebrate the changing seasons and nature with the Wild Fairies in this full-color chapter book series! Every season is special for the fairies in Sugar Oak, but sometimes change is hard. When it's time for the leaves to turn orange in the fall, Poppy isn't ready. She loves the warm summer sun and staying up late playing games with friends all over the forest. Poppy loves summer so much that she forgot to start planning the fall harvest. Now the plans are all mixed up. Can the fairies get ready for the harvest in time? 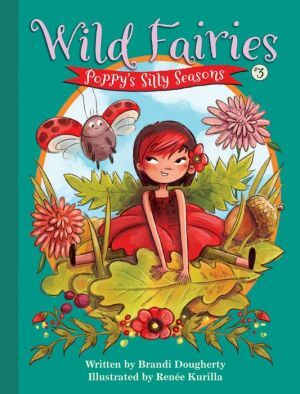 Pop into a new season with Poppy and her fairy friends and explore their world through the full-color art on every page!